Hand painted White raised dots “Shirochibu” in spiral on white background with gold flowers on tendrils. Its quality is judged on how uniform all those dots are on the surface. Bordered in gold adding extra gorgeousness to its design. 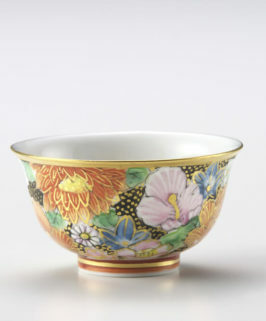 This is painted by Kingyoku Nakata, Certified National Craftsman who is the master of “Shirochibu” painting. Hand painted white raised dots in spiral on white background with gold flowers on tendrils. Bordered in gold adding extra gorgeousness to its design. Its quality is judged on how uniform all those dots are on the surface. 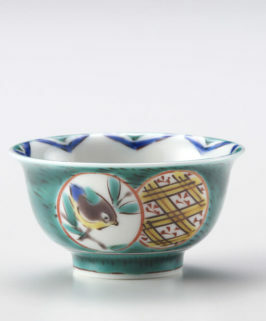 This is painted by Kingyoku Nakata, Certified National Craftsman who is the master of “Shirochibu” painting.The Kutani is picture porcelain produced in the Kaga district of Southern Ishikawa prefecture. The origin was said to be about 1655 and it was strongly influenced by a sense of beauty of splendid Kaga Hyakumangoku culture and developed. 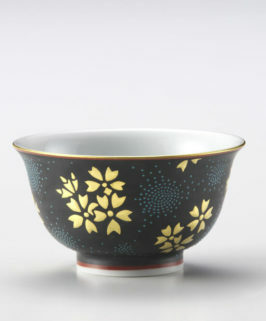 It features the solid, gorgeous color that added gold to a Kutani five colors (red, blue, yellow, purple, Berlin blue). 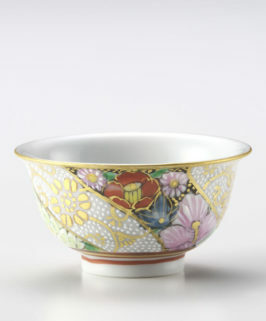 The traditional style such as Kokutani, Mokumai, and the Yoshida style are probably most famous. 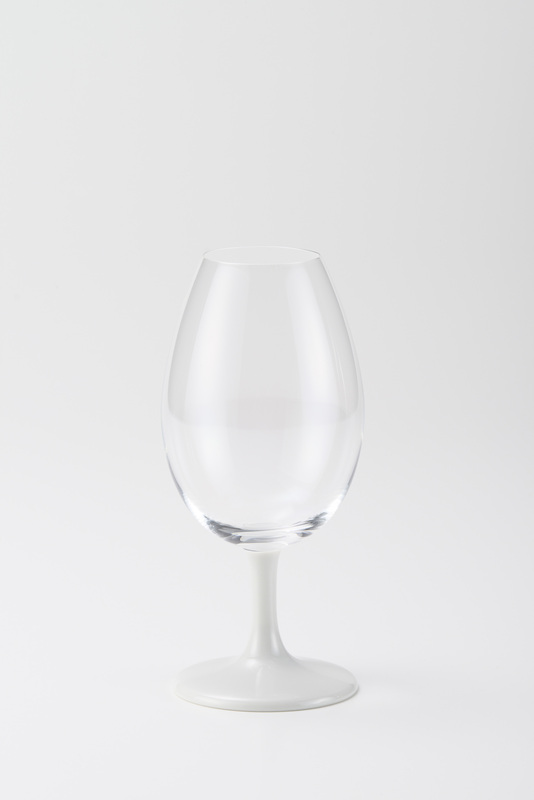 A petal-like flamed rim of Kaburaki Sake Cup draws sake to the front of the tongue to perceive taste, then delivers it to the both side of tongue to enjoy refreshing acidity without the sense of heaviness. 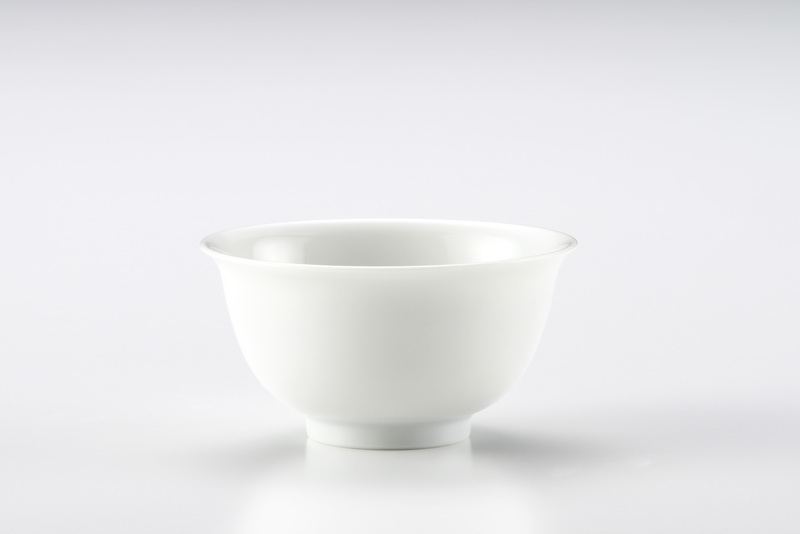 Kaburaki Sake Cup brings out richer taste of sake. Savour the mellowness of Junmai and Yamahai/Kimoto. 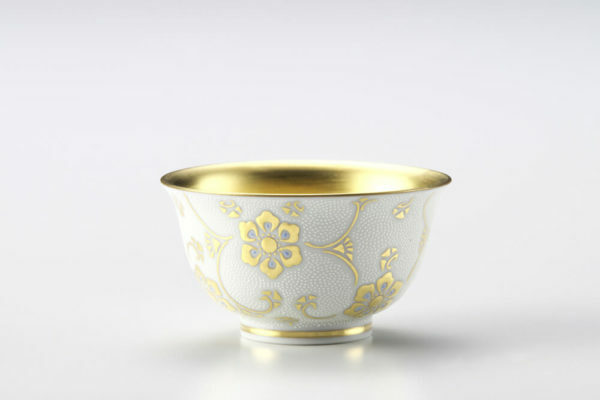 You can choose your favourite pattern out of those traditional selection of Kaburaki Sake Cup available here.